Authors, although we are fearless when it comes to the written word, some of us may clam up when it comes to speaking before a crowd of people. Conferences, book festivals, schools, churches and more may be events that may provide opportunity for you to promote who you are and what you do as well as your projects to vast audiences. With that in mind, it is vital that you, as an author, be ready to take on the challenge by preparing yourself to speak the right way and be comfortable at the mic. Pitch, enunciation, memorization all come together in an awesome way as a result of practicing your speech or what you will have to project to hundreds and maybe thousands of people in your near future as an author. It sounds and can be intimidating especially if you haven’t prepared to speak at a microphone as you have prepared so thoroughly to write your divine novels. Therefore, if you know ahead of time that you will have to speak before any audience, make certain that even if you don’t memorize the entire thing, that you practice your methods of delivery which should include pitch at various parts of the speech as well as the most beneficial and simplified way of speaking to whomever is sitting before you. Know that it’s always best to be heard clearly and loudly while speaking in a language that everyone can understand without a dictionary sitting right beside them. If you need to use index cards to prompt you while speaking, by all means, USE THEM. You would be an idiot not to do so. Some of the most amazing people who have mastered the art of speaking such as Oprah Winfrey to preachers in the pulpit as well as the president of the United States of America have notes and prompters. Don’t think it small of you to have to refer to your back up plan because the fact of the matter is that it’s one of the smartest things that you could do for yourself when before any crowd. Know what you will talk about, but in the event that you lose your train of thought, pause, glance down at the index cards, take another deep breath (no need to explain yourself because people see what you are doing), and then continue. Before I ever go to speak anywhere, whether it be in church, at a family function or even on radio, I pray and find my comfort zone in Jesus. It is through Him I can do all things, and I actually ASK Him to come with me and make me confident in the things that I say. Without believing in what you have to offer or say at a podium, you will most definitely crack, especially if the speaking engagement allows for a little Q&A. You should become so at ease in your mind and heart of hearts that whatever happens on that stage will end up being THE RIGHT THING, and you will leave proud and totally happy that YOU DID IT! One of the most effective ways to calm down when before an audience is to be completely honest with them about the fact that you may be or are nervous. Pretending to not be nervous may make the jitters worse, therefore, lean on the old adage that honesty is the best policy. I’ve used this one a couple of times when I’d gotten out of the practice of speaking, but once I had what I call a “one on one” with the audience, I felt relieved and they smiled, appreciating the fact that I let them into my own emotions. Therefore, it’s great to be absolutely honest because at times, hiding your nerves can definitely cause a flop at the mic. 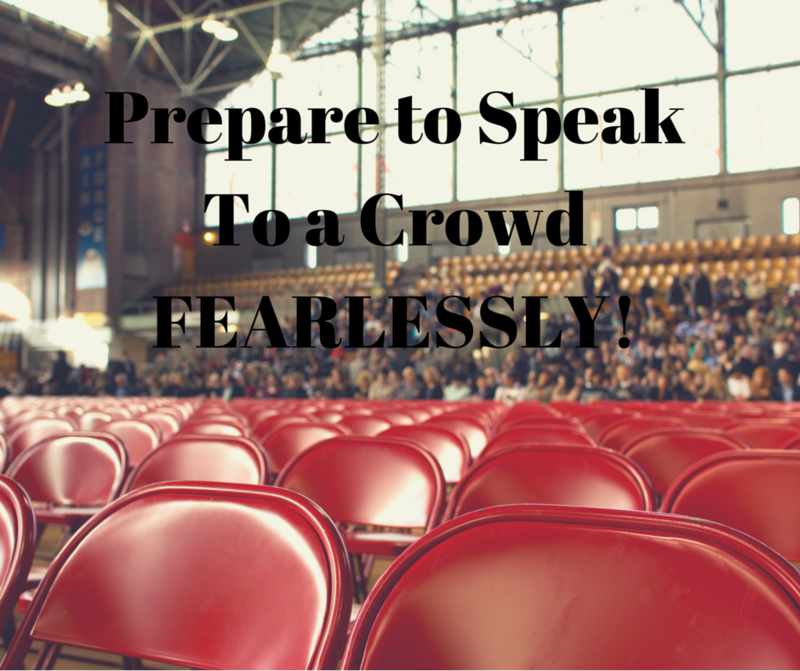 Those are just some of the items that could potentially make your speaking engagement for any occasion a success. Being an author may become more than just that at times, so it’s always important to keep an open mind while being ready at the mic. 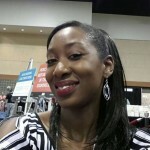 This article was written by author, blogger and literary visionary Mirika Mayo Cornelius. Find out more about her and her novels, novellas and short stories at mirikacornelius.com and also read all other Akirim Press books now.